Europe is the birthplace of soccer and its teams have some of the most skillful players and most advanced tactics in the world. If you’ve ever wanted to discover how you can emulate these great sides, now is your chance. Modern Soccer Tactics is a two book series focused on the formations, tactics and mindsets of many of Europe’s greatest players and teams, along with practical methods to teach them. This includes how Real Madrid were transformed by Jose Mourino into La Liga Champions, how Arsenal trains its players to recognize and react quicker to game situations and how fullbacks, like Roberto Carlos, have developed into part of a team’s attack. Utilizing screenshots of actual games and clear explanations, Modern Soccer Tactics provides you with a wealth of insights you can use to improve your coaching knowledge, along with practical exercises you can use to improve the performance of your players on the training pitch. If you want to learn from Europe’s greatest players and teams, these books are the perfect addition to your coaching library. 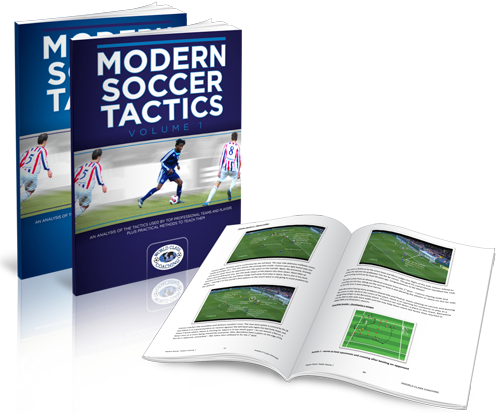 Modern Soccer Tactics Vol 1&2 are born from the thirst for knowledge to know how the elite level teams play, and how the tactics they use are effective in game situations. 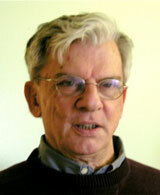 The analysis with coaching idea’s should help the reader understand how the elite teams play, and why they use certain types of tactical ploys to win, and give ways to help implement the same philosophies into their training sessions; exploiting overlaps, playing tiki-taka or how to play against a team like Barcelona. This mindset of analyzing how one formation can beat another was a big influence on Grieve’s decision to write Modern Soccer Tactics. The two book series provides a blueprint for coaches to analyze and utilize the best tactics of some of the elite teams playing in Europe. Whether it’s discovering how to adapt Arsenal’s familiar patterns of play, Manchester United’s ability to score from corners or developing the flair and pace of Real Madrid, both books in the Modern Soccer Tactics series provide you with a masterclass in how you can adopt European match winning tactics. The two volumes of Modern Soccer Tactics both feature collections of articles analyzing the playing styles, formations, tactics and mindsets of leading teams and players in the EPL, La Liga and Champions League. Utilizing actual screenshots of games, detailed diagrams and clear explanations, Modern Soccer Tactics provides valuable insights you can use to improve your own team’s performance. The first book in Modern Soccer Tactics starts by looking at how Jose Mourinho has developed Real Madrid into a solid defensive team that also plays with flair, pace and accuracy in attack. Grieve analyses the role of Angel Di Maria in the side, with screenshots of real games, before providing drills for improving the penetration and creativity of your attackers. How Manchester United were punished against Basle by failing to stop crosses. In addition, volume I of Modern Soccer Tactics provides numerous drills and exercises, such as sessions for defensive screening, frontal and behind pressing, defending with intensity, recovering from an overload and training to create more width in attack. The second book in the Modern Soccer Tactics series opens by looking at why the unpredictability of Carlos Tevez and Sergio Aguero makes them such devastating attackers for Manchester City. 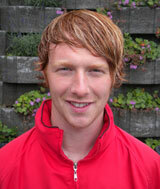 Grieve then provides sessions for using the back heel around the box. A look at how Juventus went 34 games unbeaten in the recent Serie A season, with an analysis of their attacking threats, how they retain possession and their choice of formation. Volume II also includes drills and exercises for improving 2v1 scenarios, breaking down a compact midfield, how to build attacks from the target man, training diagonal runs and how to create space through small sided games. If you want to develop your tactical understanding of how some of Europe’s greatest players and teams perform then look no further. Both volumes of Modern Soccer Tactics are packed with insights you can harness to develop your coaching knowledge, improve your players’ tactical awareness and to improve their performance by emulating the approaches of Europe’s elite sides. Your players will enjoy the challenge of practicing drills that will train them to emulate the tactics and playing styles of their soccer idols playing in Europe, like Sergio Aguero, Robin Van Persie and Andres Iniesta. The EPL, La Liga and Champions League are home to some of the most exciting soccer in the world. 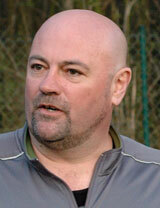 Coaches everywhere are desperate to emulate the tactics and playing styles of these elite sites. Whether you coach youth teams or elite players, the Modern Soccer Tactics series can enrich your coaching knowledge and improve your team’s ability to emulate some of Europe’s greatest teams and players. “Stevie Grieve has found a novel way to deeply analyze and display the modern tactics used by the best players at the best professional clubs in the world. I gained an appreciation of the high level thinking players must use to find success against equally motivated, skillful and tactically minded opponents. Through a combination of images captured from actual games–annotated to identify the players and their actions, insightful introductory narratives and step-by-step commentary that reveals player tactical thinking, I became a tactically thinking participant in the greatest games of the near past. WORLD CLASS COACHING is recognized globally for the quality of its soccer coaching resources, which are used by over 40,000 soccer coaches from around the world. 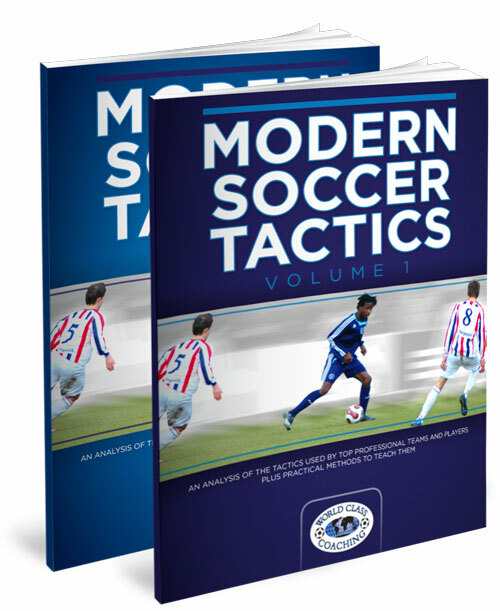 We wouldn’t be offering you Modern Soccer Tactics Vol 1&2 unless it achieves our exceptionally high standards. However, if you are not 100% satisfied with the quality of Modern Soccer Tactics Vol 1&2 after six months then please contact us for a no quibbles refund. The Modern Soccer Tactics series is born from the author’s approach of adopting the playing styles and tactics of the world’s elite teams to improve those of your own, even when coaching amateur sides. If you want your team to emulate the fluid attacking pace of Real Madrid, the use of an overlap like Manchester City or to develop ‘flying’ fullbacks like Roberto Carlos, you can find out how in Modern Soccer Tactics. Using some of the EPL, La Liga and Champions League’s elite teams and players as its blueprint, Modern Soccer Tactics shows you why their playing styles are so successful and how you can train your team to emulate them. Packed with screenshots of real games, tactical analysis and drills you can use on the training pitch to develop elite players, the Modern Soccer Tactics series will enrich your coaching knowledge and will be a valuable addition to your coaching library. P.S. 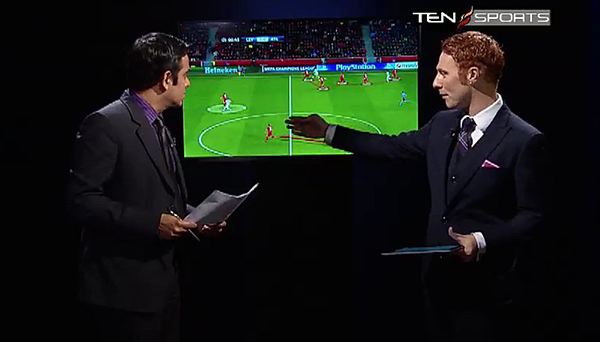 Modern Soccer Tactics is a two volume series that provides an analysis of the tactics used by elite teams and players in the EPL, La Liga and in the Champions League. Utilizing actual screenshots of games and clear explanations, Modern Soccer Tactics Vol 1&2 is packed with over 220 pages of valuable insights and soccer drills you can use to improve your coaching knowledge and the quality of your coaching sessions. P.P.S If you are not 100% satisfied with the quality of the soccer coaching resources in Modern Soccer Tactics after six months then we will refund your purchase in full, no questions asked.